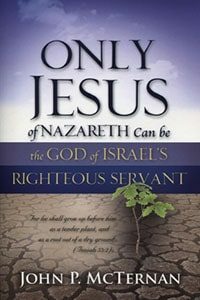 View cart “Only Jesus of Nazareth Can be the God of Israel’s Righteous Servant” has been added to your cart. 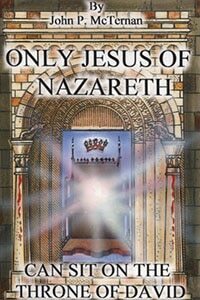 Only Jesus of Nazareth Can Sit On The Throne of David is a great tool for adding depth to your faith and is excellent for Sunday school and sermon material. It is an ideal witnessing tool because it gives irrefutable proofs. The focus of this book is Ezekiel 40-48 which is one the least studied and preached sections of the Old Testament. This book nicely fills this void. The book starts with the Second Coming of the Lord Jesus, and His reigning from the temple in Jerusalem and then continues into the New Heavens and New Earth. The book is very unusual because it is the result of McTernan spending thousands of hours in email and formal debates with Judaism’s anti missionaries. This resulted in the airtight proofs which are presented in this book. 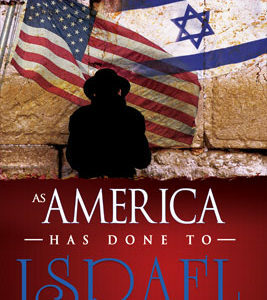 The book is also a great follow up to As America Has Done To Israel. Together both books give the panoramic view of God’s prophetic plan. 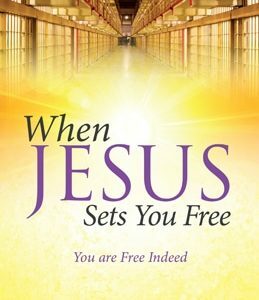 It is my hope that the material in this book will strengthen the faith of all who read it. 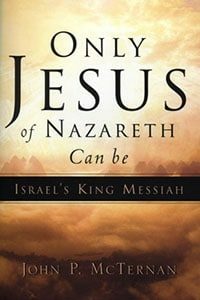 This information will be used as a witnessing tool to win the lost to the Savior, and it will be a challenge to all who do not believe that Jesus of Nazareth is the King Messiah of Israel. Probably the most neglected section in the entire Bible is Ezekiel chapters 40-48. This section of the Scriptures reveals King Messiah reigning in His magnificent temple in Jerusalem. There is seldom any preaching on these Scriptures and even less teaching. The Church for the most part has ignored it. This book addresses that neglect. Ezekiel 40-48 is really the most powerful section of Scriptures in the Old Testament to prove that King Messiah is the God of Israel. It conclusively proves that the New Covenant is now in force, and it contains enigmas which cannot be answered under the law of Moses. The only answers to these problems can be found in the New Covenant.